Whatever issues come up with your grease guns our staff at Centric Inc. will diagnose and repair any and all malfunctions to get your grease gun working again. 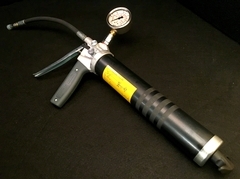 Centric Inc. will service and clean your grease gun back to its original working condition for only $45.00 for labor plus the cost of parts. Centric stocks a wide selection of corrugated steel in a range of harnesses to fit your production and material requirements. In order of hardness Centric Inc. offers; Blueline, Blueline Coated, Blackback, Premium M2, M3, Diamondback, T1, and M42 corrugated steel knife stock. 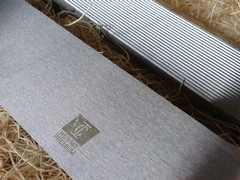 Whatever your production requires Centric Inc. has a bar of knife stock for you! When a machine goes down it is costing your company time and money. Being able to identify symptoms of a failing spindle will allow you to plan maintenance around your production schedule. 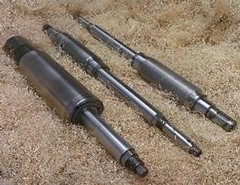 This article will tell you how to spot two common issues that result in spindle failure. 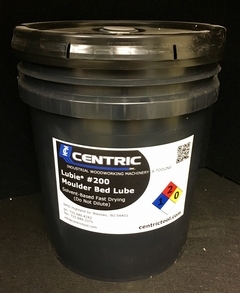 Lubie® 200 is a fast evaporating lubricant used in the woodworking industry. This product is designed to allow users to smoothly lubricate their machine without having to take off material to remove excess lubricant. Lubie® 200 is perfect in applications that don’t allow for material to be removed on the last cut. LENOX® band saws are an effective and versatile tool found in the woodworking industry. LENOX® Woodmaster® band saws available at Centric Inc. and are a reliable option for any band saw application.